This is Texas that we’re talking about. Not everything will grow here, and there might be various factors at play when it comes to the appearance of your property. Before you run off to the local nursery, make sure there aren’t any ordinances, homeowners’ association requirements, or cranky next-door neighbors that won’t hesitate to throw in their two cents about you digging holes in the yard on a Saturday morning. Once you’re ready to pick out the shrubs of your dreams, you’ll want to make sure you also get those plant care instructions so that they won’t, you know, die. You’ll want to hug your trees when you get that electric bill. Did you know that properly-positioned trees can save nearly 25% of the total energy your home uses on heating and cooling costs? Obviously, trees provide shade in the summertime, but they also allow the right kind of rays from the sun in the winter through their branches after losing their leaves. As a result, they can help maximize your home’s warmth in the colder months. To break it down, you’ll get shade in the summer and sun in the winter. Trees are certainly an investment, as they’re generally the most expensive thing you can buy from your garden center; however, if you’re committed to your home and intend on living in it for years to come, you’ll be happy you brought them home. When things heat up outside, trees can help reduce the interior temperature of your home by nearly 10 degrees. You’ll generally want to avoid planting trees too close to your home or sidewalks due to the roots, which could easily give you lots of grief down the road. Trees can even help generate breezes in and around your home, which is something we’re all grateful for when taking advantage of that summer weather from the comfort of your backyard. It’s considered best to plant trees on the western and southern sides of your home for the most energy savings (think about where the sun will be during those warmer afternoon and evening hours). When it comes to shade trees that will be large upon maturity, plant them 15 to 20 feet away from your home’s structure for best results; this includes corners. When it comes to smaller, decorative trees, such as crape myrtles, they can be planted closer to your home; these trees are best when it comes to providing shade against walls and windows. Don’t forget about that outside AC unit – smaller trees can provide enough shade to reduce the temperature inside your home by a few degrees. Just make sure you don’t restrict the air flow. Well, there’s a reason they’re so popular. Not only do they look really nice (as long as they’re not totally out of control), they can help provide similar thermal effects when allowed to grow against the walls of your home. You’ll get insulation in the winter and protection from the summer sun. If you’re not too keen on the idea of a vine growing wildly against the side of your house, consider investing in a trellis. Just make sure you’re giving them proper supervision and care. You want to save on energy costs – not attract termites. 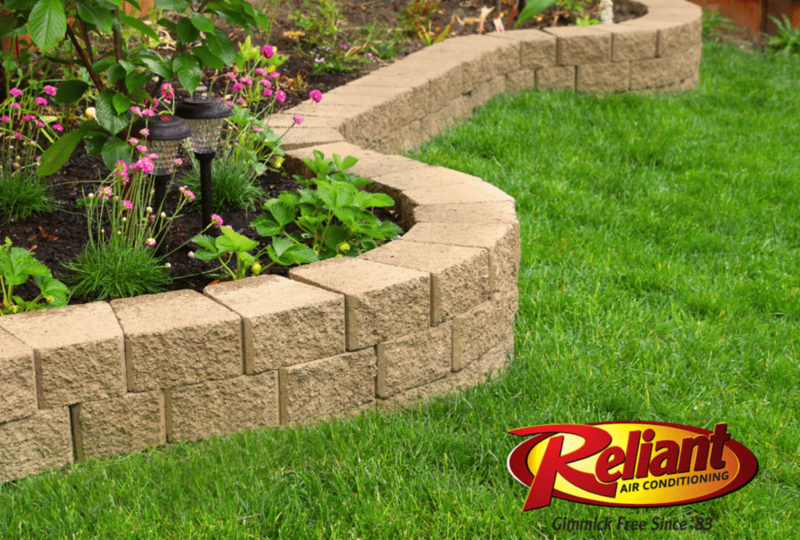 Landscaping looks great, and it can save you money. Do you know what else can save you money? The local, trusted company for AC repair Dallas chooses time and time again. Yep, that’s us. Here at Reliant Air Conditioning, we can help you solve those air conditioner problems with the most professional AC repair and replacement you’ll find in the DFW Metroplex. If you’re in need of a heating and air conditioning company who cares about its customers like you’re one of our own, contact us today!